S&P Global Ratings affirmed its 'B-/B' long- and short-term foreign and local currency sovereign credit ratings on Ukraine. The outlook is stable. "While the economy is growing and inflation is on a downward path, the financing outlook is uncertain for government foreign currency redemptions beyond 2019, when Ukraine will have to negotiate a fresh agreement with the International Monetary Fund (IMF)," S&P said. Ukraine faces sizable external debt repayments against the backdrop of presidential and parliamentary elections in 2019. The stable outlook reflects our expectation that Ukraine will broadly comply with the terms of the $3.9 billion IMF stand-by arrangement, potentially with some delays. Ratings pressure could build if disruptions to funding from concessional programs or capital market access over the next year call into question Ukraine's ability to meet large external repayments over the remainder of the year and in 2020. "An adverse final ruling in Ukraine's legal battle with Russia over a Eurobond issued in December 2013, and held by Russia, could have implications for Ukraine, in our opinion. Such a ruling could be some years away. However in a worst-case scenario, it might create technical constraints for Ukraine's ability to repay its commercial debt held by other creditors, which would pressure the ratings. We note that the government believes there is no potential for technical constraints on debt service, even in the case of an adverse ruling in the future," S&P said. 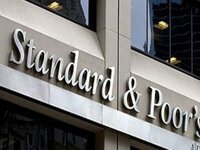 "We could consider a positive rating action if we see improvements in growth, fiscal and external imbalances beyond our expectations, and if we conclude that the security situation in the non-government-controlled areas in the East of the country has stabilized and further escalation is unlikely," S&P said.